We have Austin Air HealthMate Air Purifier in stock for immediate shipment or in store pickup (3 Black, 3 Sandstone, 1 White). STAGE 3 – About 15 lbs. 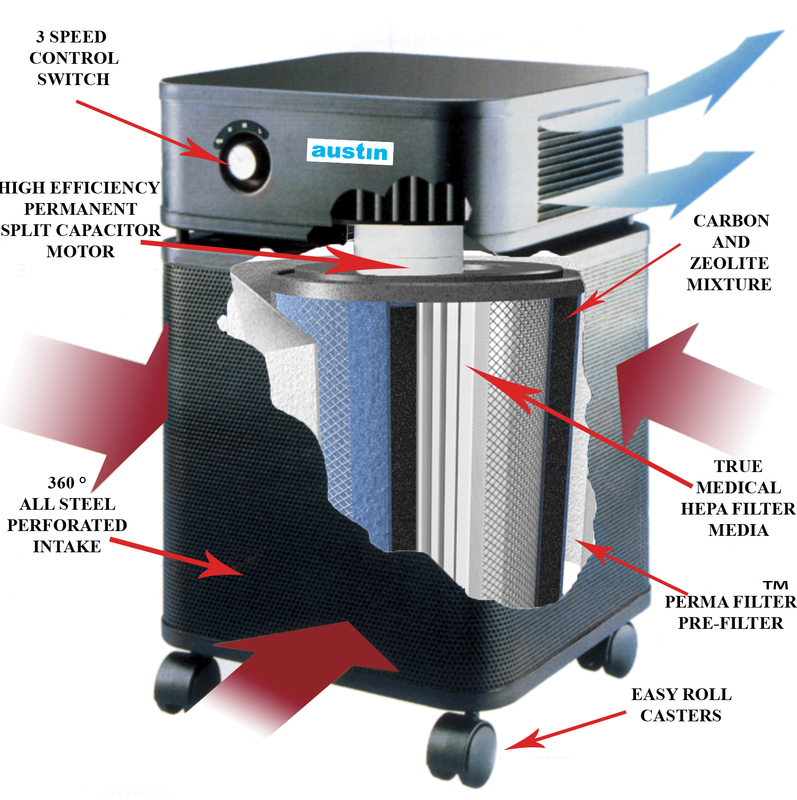 of Activated Carbon and Zeolite - Removes chemicals, gases and odors. Centrifugal fan with 3-speed control switch. Rated for 400 cfm on high setting, cleaning a room area up to 1500 sq.ft. Height 23" - Width 14.5" - Depth 14.5" - Weight 45 lbs. Prices include FREE SHIPPING - Usually in stock at store for immediate pickup, call first to verify.